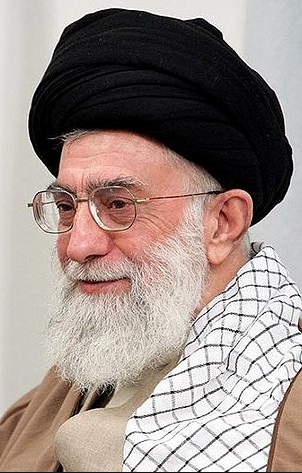 One may disagree with the utopia that the Supreme Leader of the Islamic Republic has in mind, but one has to admit that he is resolute and unwavering in leading the path to that utopia. Some people ask the question, why isn't he [Khamenei] saying where he stands on the nuclear issue ? the answer is there is no reason to make a stand. Our officials, our nuclear experts our advisors are telling us nothing has happened yet. Nothing binding between the two sides has taken place. Where is there to stand? If they ask me are you for or against? I will say, I am neither for or against, because nothing has happened yet. The whole hard work will be on the details which they are to sit and individually discuss, this is what the officials have said too. Thats what they have told us and what they have said in their interviews, they told the people this. The difficult path all lies ahead after this. It could be the opposite side is a stubborn, perfidious and untrustworthy side, they may be back stabbers and they may attempt to encircle our nation and our negotiators inside a ring later on, but there is nothing yet, nothing binding has been achieved. It does not even guarantee that the negotiations will reach an end and lead to an agreement. This is what has happened so far. It all depends on what happens after this. I have never been optimistic about negotiations with the US. Not because of an illusion, but based on experience. We have experience, now if one day God willing, you [the audience] – for we will not be around on that day naturally, [Crowd cries and prays] . But you will be and if God willing read about the writings and the notes and the details of these negotiations, you will see where our experience has come from... we have experienced this, but despite the fact that I was not optimistic with negotiating with the Americans, I did not object to negotiations on specific issues and I agreed to them and I wholeheartedly backed our negotiators and I still support them. I will fully support an agreement that supports the interests of our nation and the integrity of our nation, and I will welcome it. Let everyone know this. If someone says we are against reaching an agreement or a milestone in an agreement, then no they are telling lies. If an agreement is reached that secures the interests of the nation and the country then I will be totally for it. Although we have said before, not doing a deal is better than doing a bad deal. This is what the Americans say too. This formulae is a correct formulae. Not doing a deal that stampedes over the rights and esteem of our great nation is much more honourable than doing a bad deal. The next thing is that I have not interfered in the details of the negotiations and I still will not. I will interfere in the overall issues, the main guidelines, the important frame works, the red lines.. I have always told these things to the country's officials, I told the respectful president with whom I have regular meetings, and on a few occasions to the respectful Minister of Foreign Affairs. The main and major guidelines.. The details and the small specifics, which have no affaect on the overall guidelines are not an issue, these are within their boundaries and they can work on these. To say the details of these negotiations are under the control of the leadership is not an accurate thing to say. Of course I feel responsible regarding this issue and in no way am I indifferent. We have said all this to the public and said all this more completely to the officials. Next thing is that I trust the negotiators, you should know this. I have no doubts about those who are doing the work, not so far and God willing not after this either, but at the same time I have serious concerns. These concerns are because the opposing side is extremely deceitful and lies and welches on agreements. Thats how they are. We saw one aspect of this after the recent negotiations. After our negotiators, just a few hours after, the White House statement was published to explain what was negotiated. This statement that they published and called it “factsheet” is in most cases contrary to the truth. In other words their narrative of what has been negotiated and agreed is a distorted and wrong narrative. They brought this factsheet for me to see. Its 3,4 or 5 pages. These 4 or 5 pages were not made up in the two hours after the joint statement, they wrote this at the same time they were negotiating. You see thats what they are like. At the same time they are talking to you about issues that are being negotiated, they are working to come up with something which is contrary to what is being said between the two sides and as soon as your negotiations is finished they go and publish their own statement. Thats what they are like, they are cheaters, they are welches. They talk and then they say these are just to save face, so that they don't lose face in front of their opposition at home, they just write something. Well thats nothing to do with us, what they have written for sure will not be our criteria. Of course they say the same things about us. They claimed after the negotiations the leadership may, to save face, express some opposition! We on the other hand speak to our people based on mutual trust. The people have trusted this humble meek person [himself] and I too trust every single person in this nation. I trust this mass movement, that God's hand is behind this movement, look at the anniversary of the revolution, in that cold, with all those difficulties, look at the Qods day, in that heat while people were fasting, what is it that brings our people to the streets? what do they gain by coming out on the streets? this is the hand of God. We see God and we trust this popular movement, this popular feeling, this popular honesty and this popular foresight and we talk to each other. They [Americans] are of a different ilk and they assume we are like them. This is why, I, the humble servant, have these real concerns, about what they will do and how they will go on about it. Next thing, some have been for and some against it in our press, in our cyber space sites, some admire and some oppose, we shouldn't rush things, I believe we shouldn't exaggerate either, we have to see what happens. I have said this to the officials, they should inform the public and especially the elite about the details, we have no secrets. This is the manifestation of empathy with the people. you can't have someone order the people to empathise with the government and make the people say, Yes Sir! How can that be empathy? Empathy is like a flower, is like a flower bulb, it has to be planted in the soil, then looked after, you have to water it, defend it from harm, so that this empathy grows, otherwise it wont happen. , let them invite some of the notable opposers and listen to them, may be they have a point! And if they don't, then convince them, this will create that empathy. This will be unifying the hearts and actions. Next thing is that in these negotiations which are partly with the Americans, these negotiations are only on the nuclear topic. That's it! We have no other negotiations with the Americans on any other topics! None! Let all know. Neither on internal issues, regional issues or international issues. Its only nuclear issues. This will be an experience for us, if the opposing side refrain from their wrong doings it will be a new experience for us, it will prove to us that we can negotiate with them on something else too. Otherwise our past experience of them will be reinforced. And note that the side that opposes us, is not the rest of the world. I hear sometimes from our own people, and I have criticised it when they say “the international community opposes us”, there is no international community against us, its one America and three European countries, thats it! There is no one else that opposes us! Only two years ago in our own capital we hosted more than 150 countries, we had 50 heads of state attend, for the non-aligned movement conference. That wasn't 100 years ago, it was two years ago. Thats the international community! This nonsense that the international community doesn't trust us, what international community?! The international community totally trusts us and even in these countries that oppose us, they have many people who do not agree with their governments. One is that they should know our nuclear achievements are a worthy achievement. I want them to know this and not look at it as a trivial thing. Nuclear industry is a necessity for the country, for energy as well as medicinal purposes, as well as converting the saline sea water to fresh water and for many other demands in agriculture and others. Nuclear industry is an advanced industry in the world. Our own children have made this achievement by themselves, this was as a result of the explosion of their talents and capabilities. such childish excuses that some countries come up with! These are only our preliminary steps in this industry, we need to make more progress, now there are some criminal states like America who have applied this knowledge to nuclear weapons and used it or have tested it like France, only 10-12 years ago, France carried out three nuclear tests in the ocean, testing which is destructive, testing that damages the sea environment, three very dangerous tests, and yet only a minor public controversy and soon everyone was made to shut up. Who are they to tell us off?! We are not after creating nuclear explosions, nuclear tests or nuclear weapons, not because of what they say but because we have chosen not to. For the sake of our religion and for the sake of our own wisdom. This is our religious fatwa and this is our rational fatwa too. Our rational fatwa is that we do not need nuclear weapons neither today, tomorrow or ever and nuclear weapons are a cause of trouble for us, for our country ,which we can talk about more at another time. Fortunately, recently one of the respected officials explicitly did say that we have no trust for the opposing side and for me this is very good to hear. We said do not trust the other side, do not be taken in by their smiles, do not trust their promises, when their donkey has passed the bridge they will turn around and laugh at your beard. Thats how hideous they are. Look at how when today some kind of understanding has been reached, a note has been written or a joint statement has been made with no legal bindings, right away you saw the American president appear on their TV so full of himself. If it is to be that the sanctions be cancelled until the end of yet another process, then why did we even start the negotiations? What was all the negotiating and talking and arguing for? It was all for having the sanctions removed. If they want to link this to something, it is in no way acceptable. The next issue which we notified the officials and we also let you in on, is that under no circumstances, should they under the excuse of monitoring and inspection, penetrate into our security and defence privacy. No way! monitoring and inspection and such like, let foreigners have access to our defence and security places or pause the defensive development of the country. The defence development and capability of the country is the mighty fist of the nation and it needs to remain strong and become stronger. Or our support for our brothers involved in the resistance movements across the globe must not be tarnished. No non-standard monitoring or inspection that treats the Islamic republic as a special case will be tolerated. Only the standard inspection which is the norm every where else will be acceptable here and nothing more. Further research and development into the nuclear field should in no way be stopped, may be we will accept a few limitations, we are ok with that, but the technical development must be continued with more fervour than before. These are the things we have told our officials in regular meetings in the last year and half that we have with the respected president and occasionally to our respected foreign minister. These are my principal demands now how they achieve these, thats up to them. Let them go and find the best methods of negotiations and benefit from the most informed and trustworthy , listen to the critics and achieve what needs to be done. So thats the nuclear issues, now the issue of Yemen, the Saudis have laid a bad cornerstone in the region and of course they have made a mistake, what the Saudis are doing in Yemen is exactly what the Zionists did in Gaza. There is two issues about this, one is that this is a crime, it is genocide, it is worthy of international investigation, thats one dimension of the issue, they kill children, destroy houses, destroy the infrastructure and the national assets of a country, well this is all a great crime, the other dimension however is that the Saudis will face a loss in this. In no way, will they be victorious. Of course even if they [Zionists] could have won, the chances for these [Saudis] is zero! Now it is below zero! We have several differences with the Saudis on many political issues, but we always used to say the Saudis show some dignity and grace in their foreign policy, they have lost this too now. A few inexperienced youngsters have taken over the running affairs of that country and their savage side is winning over their serene appearances. This wil be a loss to them. I warn the Saudis they must refrain from their criminal act in Yemen. This is not acceptable in this region. And the US of course supports them too, this is the nature of America, they always back the tyrants instead of taking the side of the downtrodden. This is their nature and they are dong the same here too. But they will receive a knock, they will be defeated. Now they will make a hoo-ha that Iran is interfering in Yemen, yes we say a couple of words and they call this interference, yet their criminal planes have made the skies of Yemen unsafe and thats not interference? The excuses they come up with is neither acceptable according to the international law, nor do nations accept them and nor does God accept these excuses. The nation of Yemen is an ancient nation, its a great nation with thousand years of history, this nation has the capacity and capability to decide for itself. Of course some have tried to create a power vaccum and repeat the sort of things that has happened in Libya, there is a disastrous bad situation in Libya and they wanted to repeat a similar scenario in Yemen, but fortunately they were unable, a faithful and enthusiastic youth were able to stand up to them, Shiites and Sunnis and all sects stood up to them and God willing they will be victorious and victory belongs to the nations.